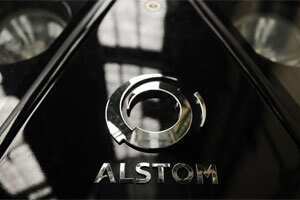 Mumbai: Power generation and transmission firm, Alstom on Monday said it is planning to establish two sites dedicated to production of components and to assembly of 6 MW offshore wind turbines in the port areas of Saint-Nazaire (Loire-Atlantique) and Cherbourg (Manche) in France. “By locating in Saint-Nazaire and Cherbourg, Alstom would be sharing in the ambition of the consortium led by EDF EN to create in France with its suppliers a long-lasting industrial and technological sector," Alstom’s president of Renewable Power Sector Jerome Pecresse said. The company expects to generate up to 1,000 direct jobs and 4,000 indirect jobs through the project, it said. “We will be pleased to participate thus in regional planning through substantial investments and significant job creation, which are dependent on the success of our consortium," he said. If the consortium is selected, Alstom would manufacture nacelles and generators in Saint-Nazaire and move its offshore engineering center, now located in Loire-Atlantique, to the new site in Saint-Nazaire, the release said. Turbine blades would be produced in Cherbourg, in partnership with LM Wind Power, as well as a towers manufacturing facility which would be set up by Alstom’s supplier, chosen subsequently. These industrial projects will allow the production of the Haliade 150, the first new generation 6 MW offshore wind turbine, each unit of which will be capable of supplying the equivalent of approximately 5,000 homes with power, the release said.